The frameless shower doors can be manufactured with different types, colors and designs of glass. The glass shower doors are no longer glass only. Thanks to designer trends, now owners have a variety of glass types, colors and patterns to choose from. 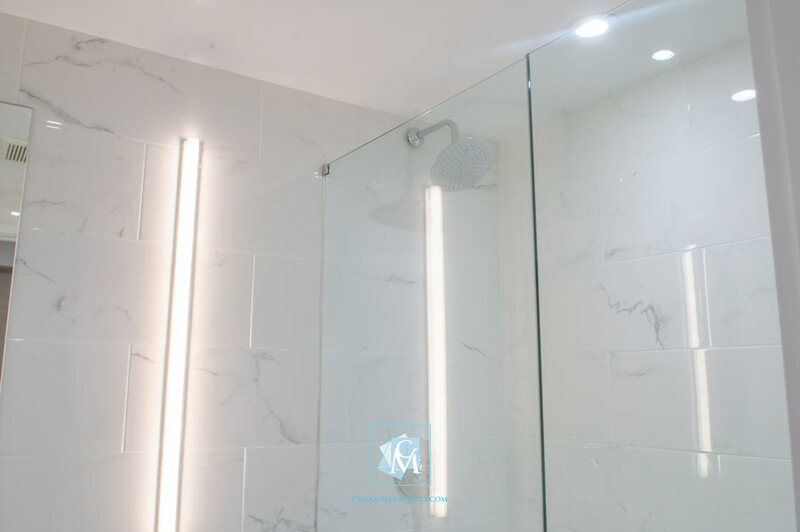 Discover the glass types of the shower door, including transparent glass, low iron, ice cream, rain, bronze, gray and custom colored glass frameless shower doors from Cvm Contractors. We have the trained, creative and innovative personnel, who bet on residential and commercial glazing, with the best products, with the minimum delivery times, fulfilling the aesthetic and architectural requirements specified by the clients. Are you looking for frameless shower doors? You have come to the right place. We have spectacular models of shower doors without a frame, so you can choose freely. In addition our advisors with extensive knowledge in the glass industry, will make the best suggestions in those cases that you wish. With our jobs your residence, shop, bathroom and any space will have a mixture of elegance and modernity bridling the well-being that you deserve so much. Discover the glass-door types of the shower door, including clear glass, low iron, ice cream, rain, bronze, gray and custom-colored glass shower doors without frame from the workmanship of our experts. And many more styles, just contact us and you will receive the best offers.